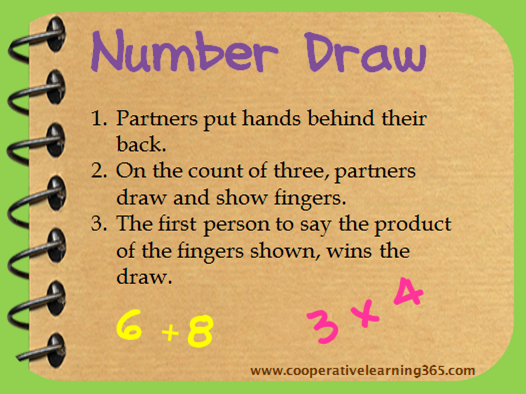 With Number Draw, students can practice a variety of concepts without the paper/pencil! 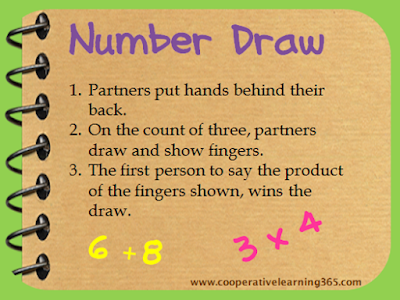 Concepts may include sums, differences, products, odd and even numbers, and also prime and composite numbers. Students use only use one hand, where the largest product would be 25. Students use both hands, where the largest product would be 100. Is the sum, difference, or product even or odd? Is the sum, difference, or product prime or composite?